Mersen Amp-Trap® A6T Series Non-rejection current limiting fast acting fuse is ideal for use in loadcenters, panelboards, switchboards, circuit breakers and metering centers. This fuse is extremely current limiting for low-peak let-thru current. Class T single element fuse is rated at 100-Amps and 600-Volt AC/300-Volt DC. 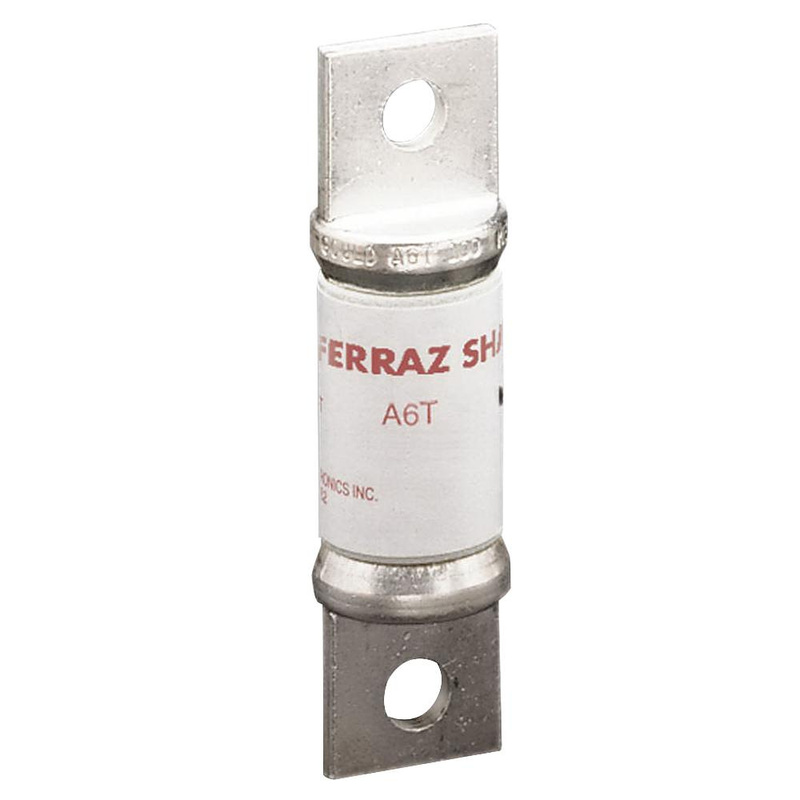 Interrupt rating of this fuse is 200-Kilo-Amps at 600-Volt AC and 100-Kilo-Amps at 300-Volt DC. Fuse with blade terminal connection, has cylindrical GMG body for enhanced dimensional stability. Small physical size for greater design flexibility and has unique dimension of 0.82-Inch Dia x 2.95-Inch. It supports clip mounting for easy installation. Fast-acting fuse is UL listed, CSA certified and RoHS compliant.